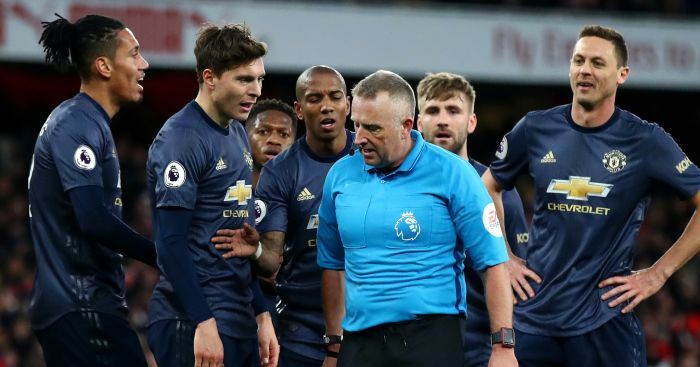 A look at all the weekend’s contentious issues as Arsenal got a helping hand against Man Utd and Liverpool won despite a dodgy call at Anfield on Sunday, all in Ref Review. In the end Knockaert ended up scoring a ‘worldie’ winner at Selhurst Park but Brighton were fortunate not to be reduced to 10 men in the opening 12 seconds of Saturday’s clash after Knockaert escaped with just a booking for a horror sliding challenge on Luka Milivojevic. He steamed in – studs showing – and crunched poor Milivojevic right in the Crown Jewels. It was reckless, out of control and in all honesty merited a red. Atrocious officiating this! Up there with the worst ‘non decisions’ of the entire season. Scott Dann was pulling Shane Duffy all over the gaff in the box and the Seagulls should have had the chance to go 2-0 up but the penalty was somehow not awarded. 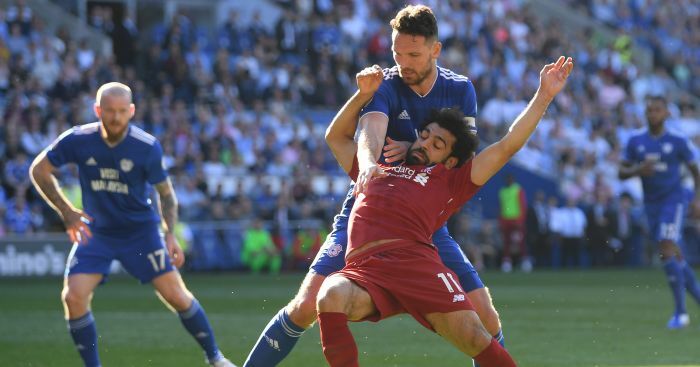 If you’ve seen it, honestly, on what planet is that not a penalty? Craig Pawson at least got this one right. Andros Townsend was tripped up by Davy Propper in the box. The Brighton man clumsily hung a leg out. Definite penalty. 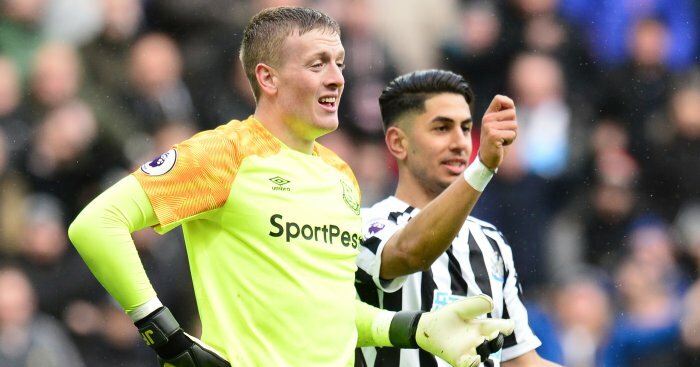 Massive controversy at St James’ Park as Jordan Pickford completely missed the flight of a ball into the area and then hauled down Salomon Rondon. Looking at it rationally, it should have been a red card too. However Pickford somehow stayed on the pitch and then went to to save Matt Ritchie’s penalty. Lee Mason got the penalty call right but the decision not to then card Pickford was a shocker. Tottenham star Sissoko escaped what looked like a sure fire red card for a headbutt on Nathan Redmond. With just three minutes to go in Saturday’s Premier League clash, the Spurs midfielder clashed with Redmond, firstly shoving him in the chest. He then planted his head into the Redmond’s face and it was blatant. Bizarrely referee Kevin Friend elected to only hit Sissoko up with a yellow card, and brandished the same to Redmond. The fact he addressed the incident means Sissoko can’t face retrospective action either. Poor from the officials. The Citizens broke the deadlock early in the second half on Saturday night but Raheem Sterling was offside as Sergio Aguero chested the ball into his path, with the Watford defender then kicking the ball onto his leg, before going in. Law 11.2, offside offence occurs when offside player is ‘challenging an opponent for the ball’ or ‘clearly attempting to play a ball which is close when this action impacts on an opponent’. A ballsy call then from Paul Tierney to overrule the original decision. But we feel he got it wrong. The Clarets put the cat firmly among the pigeons early doors at Anfield after Ashley Westwood scored direct from a corner. 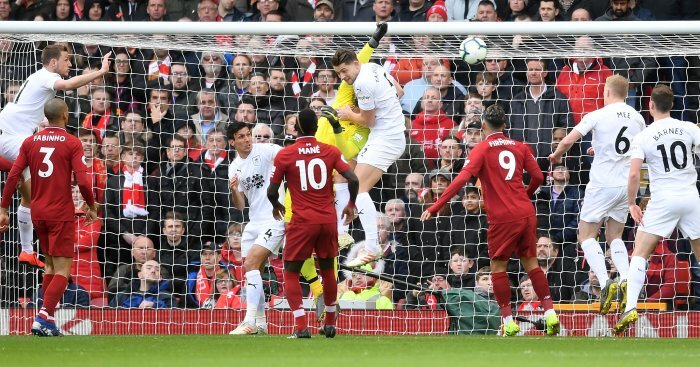 TV replays showed James Tarkowski had his hands on Alisson’s shoulder though and it looked a clear foul on the goalie. 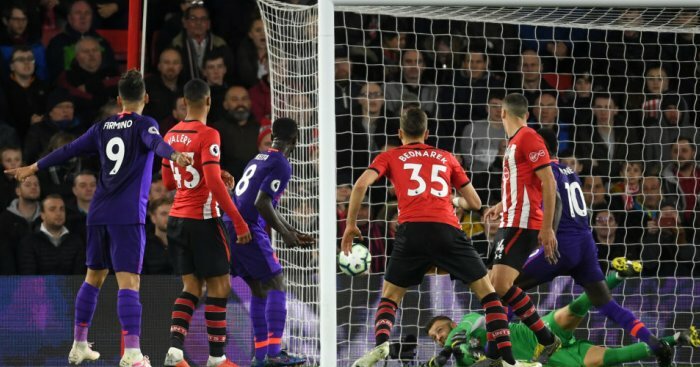 The Liverpool keeper protested long and loud to to referee Andre Marriner that he was fouled and ended up picking up a booking for his troubles. The Reds No. 1 was clearly impeded. Ergo, the goal should definitely have been chalked off. 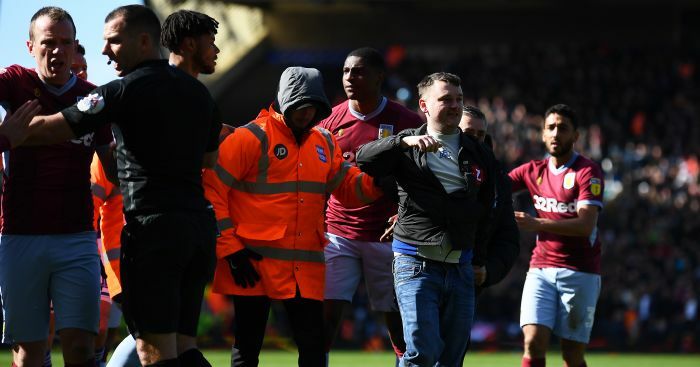 A “fan” was arrested on Sunday after running onto the pitch and aiming a sucker punch from behind at Grealish during the Birmingham derby. Happily Grealish was not seriously injured and in a sublime example of poetic justice went on to score the winner. However several TV pundits and plenty on social media felt the game should have been abandoned as soon as the Villa man was attacked. 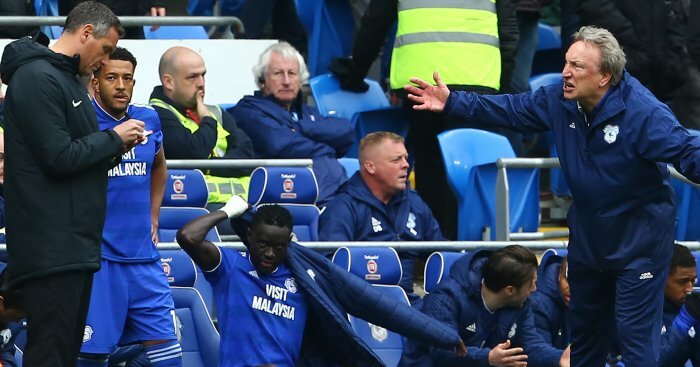 Gary Neville went so far as to suggest Birmingham should be deducted points too. The incident was without precedent in the UK but surely the ref did the right thing in letting the game continue. If he called it off what’s to stop any lunatic in future running on and landing a couple of punches on a player in an attempt to get the match abandoned? 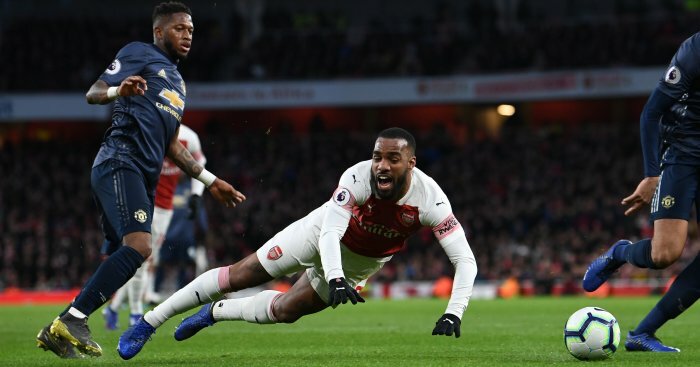 The decision to award the Gunners a spot-kick after Fred tangled with Alexandre Lacazette was contentious. There was a coming together in the area on 68 minutes but ref Jon Moss had a great view and thought Lacazette was fouled. We are not so sure however, and when staunch United legend Gary Neville brands the award “soft” you have to question whether Moss got this right? The Toon eventually produced a rip-roaring comeback on Tyneside but let’s have it right, Pickford should not have been on the pitch to save Ritchie’s penalty. Rondon had a clear path to goal, was in control of the ball, and was cleaned out by the ‘keeper. ‘Double jeopardy’ didn’t apply on this occasion, and it was right in front of the ref. He should have gone. 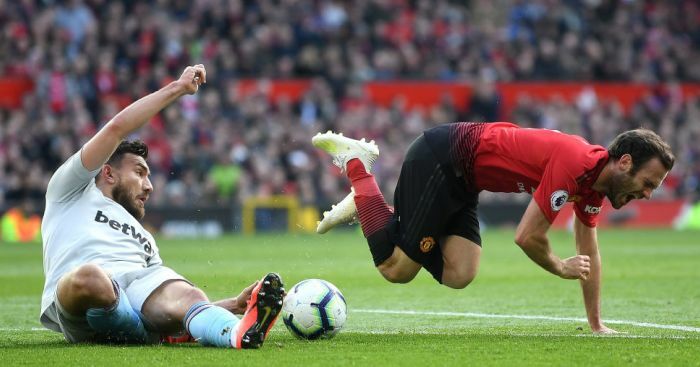 On another weekend where the officials got plenty wrong Craig Pawson called this one right. It was clumsy rather than malicious from Propper but he caught Townsend with an outstretched leg and if you dangle your leg out like that as a defender you are just inviting trouble.